manufacturer Novart, which was announced in April. The agreement will bring Novart’s "Keittiömaailma" kitchen showrooms as well as Tikkurila Oyj's interior decoration materials to all Isku stores In Finland. home is the colour palette of internal surfaces and the use of colours to complement the furniture. The interior decor of the model homes will be done using a combination of the products of Isku, Keittiömaailma and Tikkurila. The design will change twice a year according to the latest trends. and Luja. The product names and colour codes are displayed on small signs on the walls. Tikkurila guidebooks and brochures will also be available in the showrooms. conventional hardware stores. The well maintained and high-quality stores of Isku Koti provide an excellent platform for engaging customers. What’s more, the well-renowned Finnish brands of Isku and Tikkurila complement each other very well. Revamped stores have already opened in Lahti, Espoo, Tampere, Jyväskylä and Joensuu. 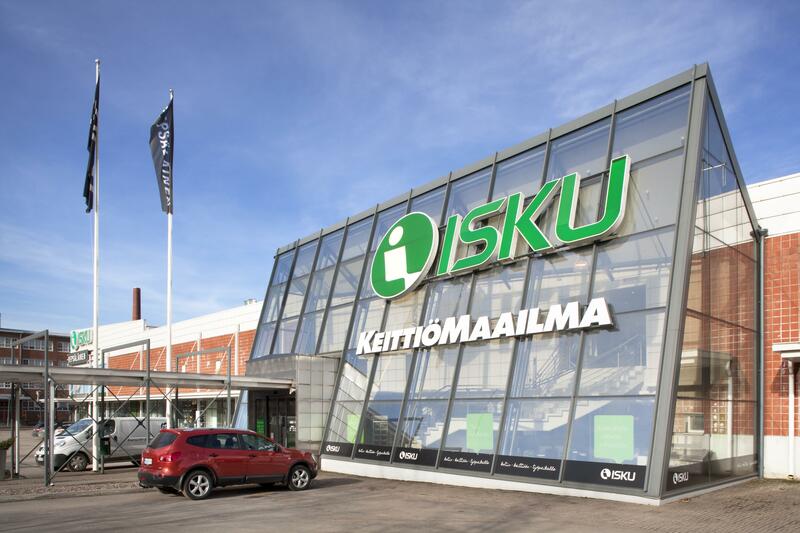 Renovation works are being carried out one store at a time, and all 22 Isku stores in Finland will be re-opened with a new look by the end of the summer.